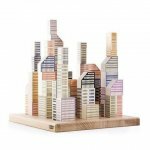 Manhattan Blocks is a combination of construction and board game. 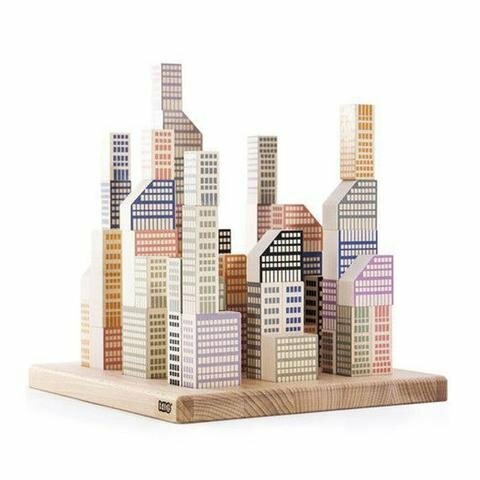 The wooden base board is complemented with cutouts in which building blocks are placed to build skyscrapers. The architectural rules of the game are left entirely to the players, but typically two players compete to build the highest or most original skyscraper. 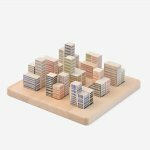 The flexible set of rules allows for an authentic architectural experience as well as addresses what modern architecture is like.